In mid April I spent a week on the road around the desert southwest, which is mostly a new area for me. The original plan was to head up to Bishop for a week of bouldering/climbing and hopefully some nice sunny springtime weather. Though seeing as how I haven’t been climbing much lately, I was slightly hesitant that the Buttermilks would tear my fingers apart on the first day and I’d spend the rest of my time sitting around and getting fat on pullaway bread. And so, after a quick stop at REI in Northridge I plugged the Grand Canyon into the GPS. Hmm, it’s far, but not that far, I can get there before dark. And so I headed east instead of north. Passing into Arizona the skies got darker. Eventually rain began to fall, which turned to sleet and then snow. 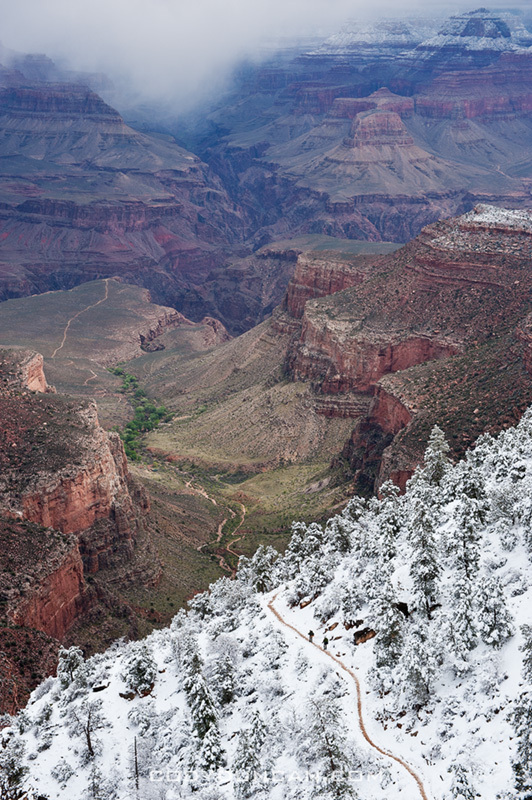 Arriving at the campground on the south rim by evening, winter had fully arrived. 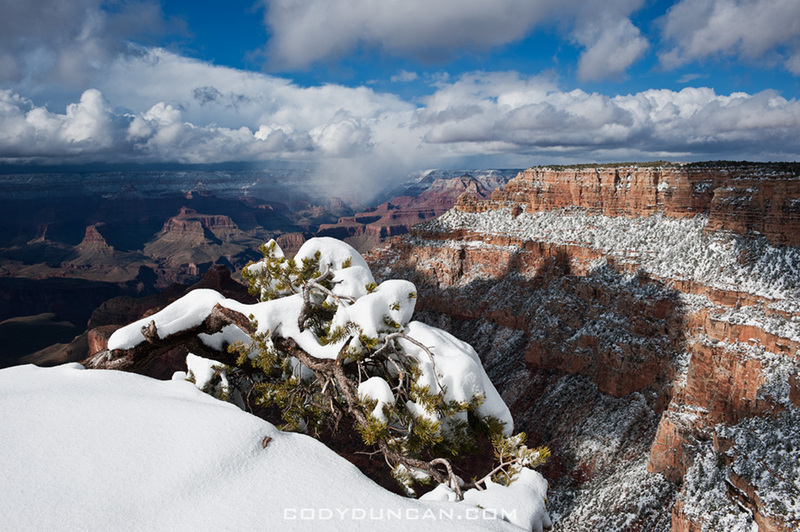 I knew the Grand Canyon received some snow, especially the north rim, but in April? I checked the weather forecast outside the campground office: snow on Saturday, storm clearing by Sunday morning. Cool! I thought, should get a good sunrise opportunity on Sunday. So I go to pay for 2 nights at the campground where I receive the news. “You can only stay for tonight.” the ranger lady says. “What? are you full tomorrow or is there too much snow?” I ask. “No. 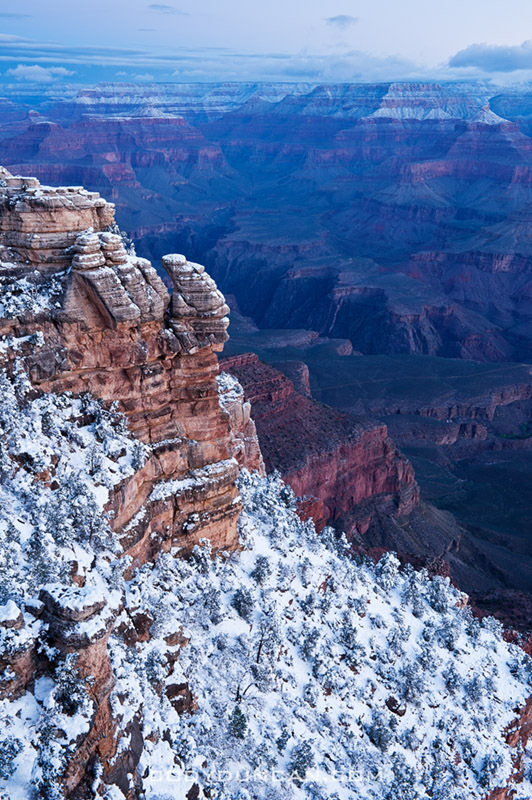 Congress hasn’t passed the federal budget, so the park is closing tomorrow” I’m told. “What! seriously?” I mumble in disbelief, getting slightly disgruntled that I may have just driven all this way to only see snow and clouds. Bugger. I scramble across the parking lot and through the falling snow back to my truck. A rant full of colorful language runs through my head as I drive to my snow covered campsite for the night. Luckily, while eating noodle soup and listening to fuzzy AM radio from a station too far away to for a clear signal, I hear some emergency budget was passed. I cross my fingers that things should be normal on Saturday and set my alarm for 5am, just in case the storm clears. Saturday arrives with a dull gray and snow still falling, nearly a foot of it now covering the campsite picnic bench. Driving to the canyon rim over the unplowed roads, the visibility is zero. I had a bit of fun driving around the snow covered roads and seeing how close I could get to being stuck. 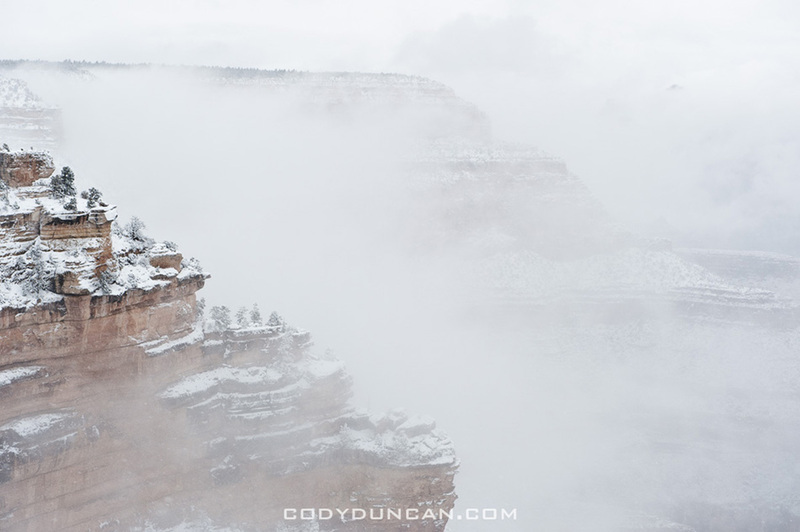 A little before noon the storm began lifting and I wandered a ways down Bright Angel trail. Lots of poor souls were making the hike out of the canyon, many wearing sandals or other light footwear that would normally be appropriate for the hot and dry canyon. 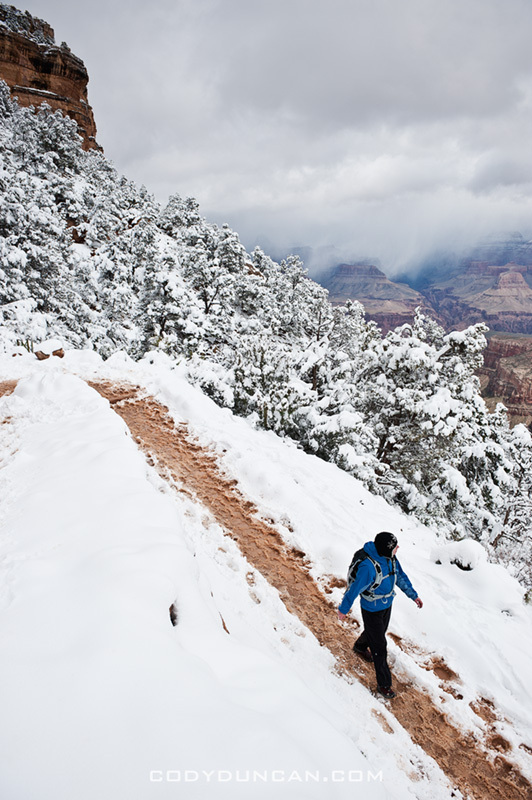 Now they were trudging through boggy snow which turned the trail into a sloppy, muddy mess. My trail runners were quickly soaked as well. Wet feet on day one, welcome to my life… good thing I had a spare set of shoes. The last time I was at the Grand Canyon was some 14-15 years ago as a teenager, so I really had no idea where to go or what to see. I did what’s probably the most obvious thing and waited for sunset at Mather Point. Clouds to the west blocked the sun before it was very low and any color arrived. I was actually slightly content with this as the wind was bitterly cold, and my still wet shoes left me daydreaming of a warm dinner and sleeping bag more than a nice sunset. 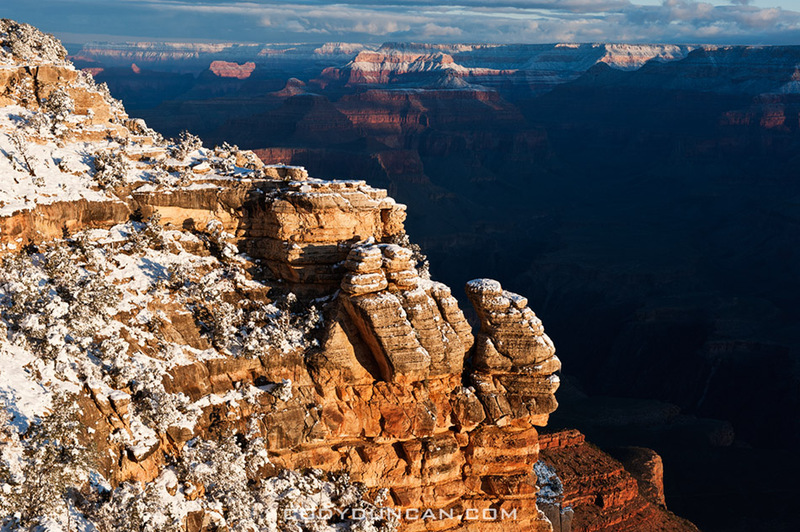 Woke up early again Sunday and headed back to Mather point, trying not to slip on the ice covered pathways. While Friday night in the storm was cold, Saturday night’s clear skies dropped the temps to near arctic. Everything inside my truck was frozen, and I was a bit slow moving. Some nice light arrived, only witnessed by a brave few of us. I’ve no idea how rare snow is here, but I’m glad I got to see it, even if it meant a bit of suffering from time to time. The Besseggen ridge hike is one of the most popular in Norway, with some 30,000 people making the trek between Gjendesheim and Memurubu each year. 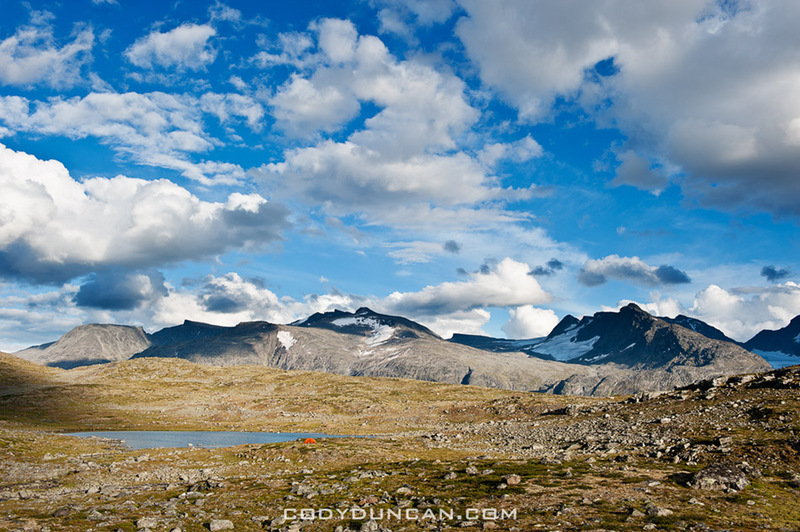 Located in the stunning mountain scenery of Norway’s Jotunheimen national park, the trail roughly follows a ridge on the north side of lake Gjende and provides amazing views of the whole length of the long and colorful lake as it sits surrounded by glaciated mountain peaks. 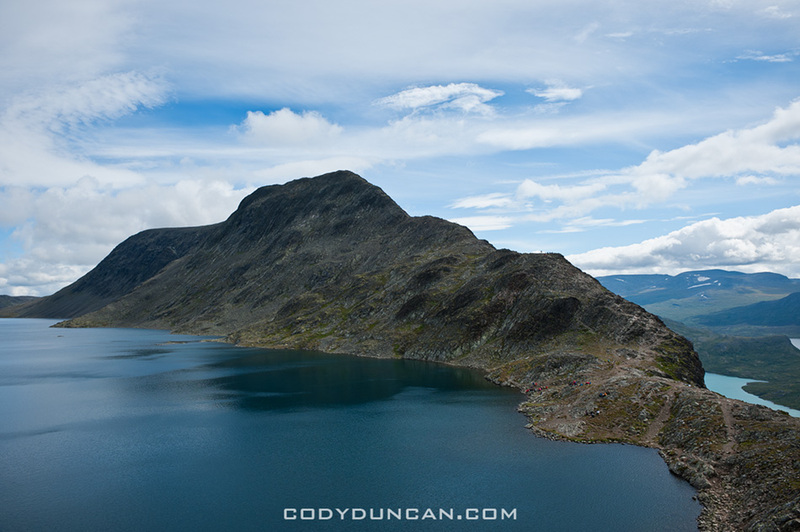 With a distance of about 8 miles (13 km) and climbing 2,500 feet (759 m) above lake Gjende the hike requires a moderate level of physical fitness. 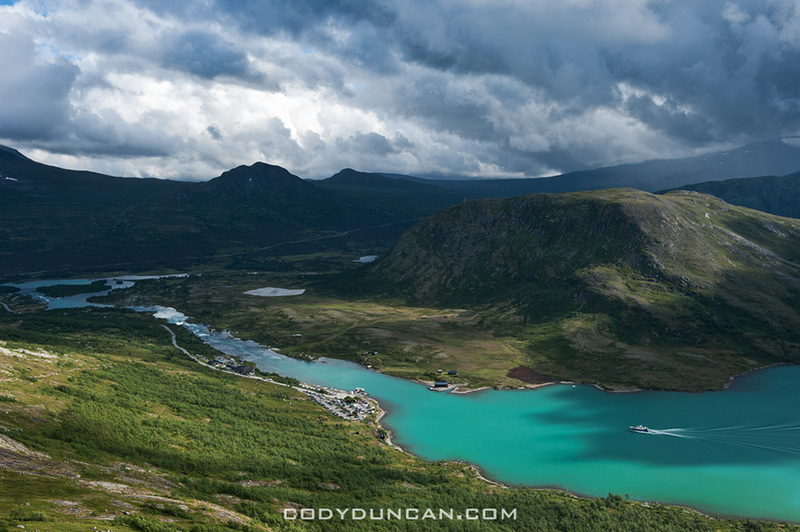 Expect to take 5-7 hours to complete the hike between Gjendesheim and Memurubu. The trail is well marked and easy to follow, and due to its popularity, it’s doubtful you’ll be alone – even in bad and rainy weather. From Gjendesheim, the trail climbs at a moderate gain for several kilometers until finally reaching a high and rocky alpine plateau. Even if the wind is calm at lake level, it can be cold and windy once up high, be prepared. The steepest and narrowest section occurs shortly after passing the high point of 5,718 feet (1743 M) – marked with a large cairn. After this point, the trail then proceeds to quickly drop down to the southern shore of lake Bessvatnet at 4,504 feet (1373m). Here is were you have one of the best views of Lake Gjende. Lake Bessvatnet represents the approximate half way point and is a good place to sit in the sun (if your lucky) and have a nice lunch. Continuing from lake Bessvatnet the trail is relatively flat with only moderate climbs/descents until the final short and steep descent to Memurubu and the shores of lake Gjende. 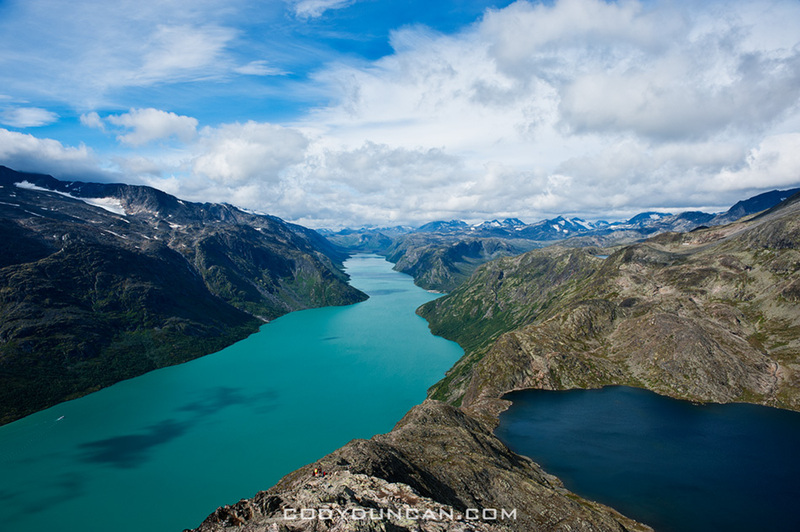 Day hiking the Besseggen ridge gives one several options on how to go about things and how long of a day is desired. 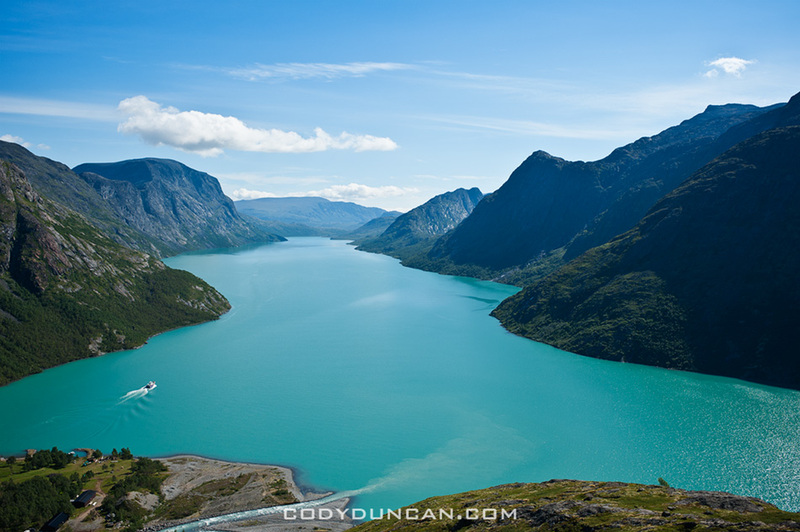 A popular way to make the hike is to take the morning ferry from Gjendesheim to Memurubu and make the hike back. This way has the benefit of not having to meet the ferry schedule for a return trip, thus meaning that one can go as slow or fast as wanted. One drawback is you will likely be hiking in a crowd of people all arriving with the boat, unless one sits around Memurubu while the crowd continues up the trail. This way one can get an early start and have the trail relatively empty. Though if looking for mountain solitude, I suggest going elsewhere in the park. The main drawback of this way is that one has to keep schedule to catch the ferry back to Gjendesheim. Personally, I think the view is more scenic in this direction, and the sun will be at your back during the morning hours. For a longer day, it’s possible to hike the ridge to Memurubu and back. Or, to save some tired knees, there is a flat trail that follows the lake, connecting Gjendesheim and Memurubu. 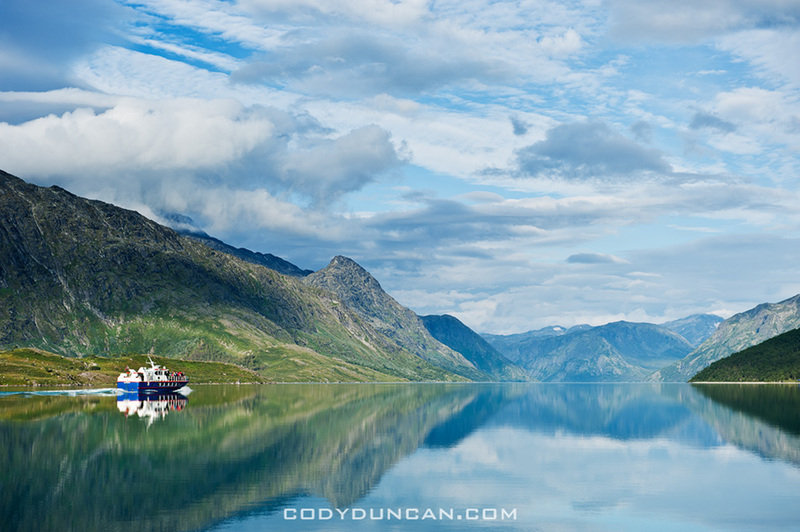 For a long day, take the morning ferry to the end of lake Gjende and Gjendebu and hike back to Gjendesheim. The section between Gjendebu and Memurubu is relatively uncrowded and provides stunning views of lake Gjende and one approaches Memurubu and also some amazing views of Memurudalen – Memuru valley. The lake ferry boat not only carries people, it will also carry luggage. So, say one is looking to stay overnight at Memurubu or Gjendebu hut, put your luggage on the ferry and hike from Gjendesheim. When you arrive in Memurubu, your bags will be waiting. 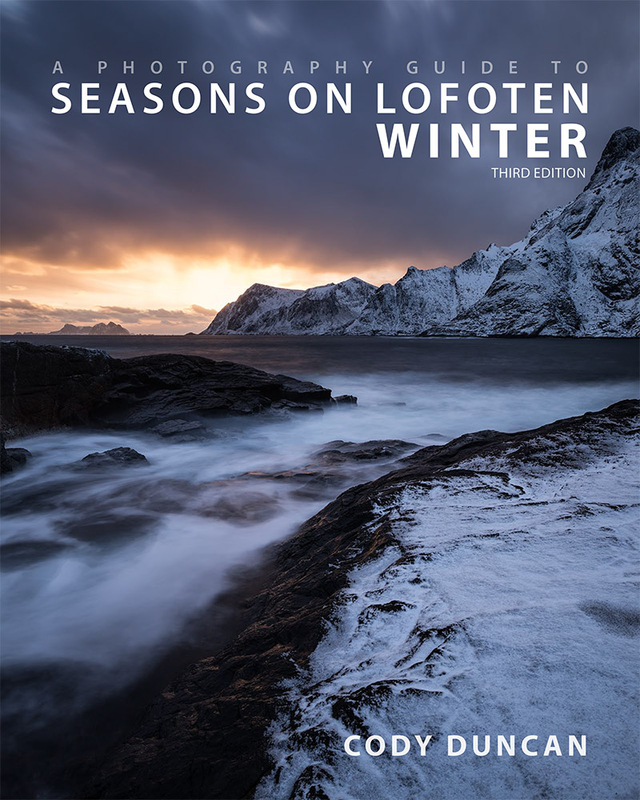 This can also work in reverse, staying your first night in the hut and then hike back to Gjendesheim while your luggage takes the ferry. Wild camping is possible basically everywhere, the only restrictions being the immediate area around the huts. Water is plentiful and tasty. On the other hand, finding a flat and dry spot to pitch a tent can sometimes take a bit of searching, but is well worth the effort to sleep with some amazing views out the tent door. Camping near Gjendesheim. Walk past the end of the parking area and continue along the lakeside trail for 100m. Beginning here you you see plenty of places to pitch a tent. Can get a bit crowded on a nice summer weekend. Jutunheimen national park is an amazing place. I highly recommend making a longer hike through the park, either as a multi-day loop or through hike. While I enjoy camping in the wild, it’s also possible to carry a light pack and overnight in the well connected network of huts, many of which also serve food. 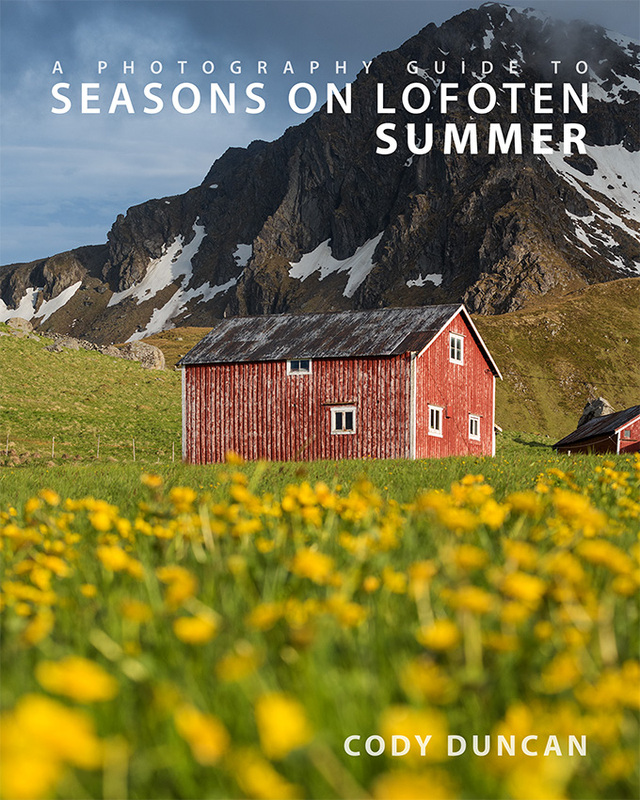 The main summer season in the Norwegian mountains in July and August. These months will be your best bet for sunny, warm days. The start or finish of the Besseggen ridge is located at Gjendesheim, on the eastern end of lake Gjende and Jotunheimen national park itself. Here you’ll find a full service DNT hut, a small (expensive!) shop/cafe, toilets, the ferry boat, and parking area. Several busses travel to Gjendesheim daily. The two options are to travel via Fagernes (to/from Oslo) in the south. To the north the bus travels to Vagamo where one can transfer east to Otta and the train, or continue west through the fjords. There is no direct train link to Jotunheimen national park. If traveling by train, say from Trondheim in the north, exit at Otta, where you will have to take the bus to Vagamo, then on to Gjendesheim. The bus/train does not always meet at a convenient time, so be sure to check schedules. If there’s anything I seemed to miss, let me know and I’ll try and add it.